Bobby J. (Brad) Bradford has been a partner at Aylstock, Witkin, Kreis & Overholtz since he joined the firm in 2009. Brad’s practice is devoted exclusively to handling personal injury and wrongful death cases involving unsafe and dangerous products, automobile, trucking and motorcycle accidents, premises liability and insurance claims. In addition to heading up AWKO’s Personal Injury department, Brad is also heavily involved in the firm’s Stryker Rejuvenate and Transvaginal Mesh litigations. An aggressive advocate for the rights of victims to pursue justice in the courts, Mr. Bradford has been recognized by Florida Trend magazine as a “Legal Elite” and by Florida Super Lawyers as a “Rising Star” in the area of personal injury law, representing a high degree of peer recognition and professional achievement for his work as a trial lawyer. Brad has obtained numerous multi-million dollar settlements and verdicts on behalf of his injured clients. Mr. Bradford is an EAGLE member of the Florida Justice Association and formerly served as a member of the organization’s Board of Directors. He is also a past president of the First Circuit Trial Lawyers Association and a member of the American Association for Justice. Mr. Bradford frequently lectures about civil trial practice, personal injury and wrongful death litigation. 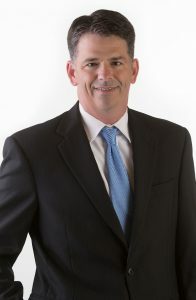 Brad received his Bachelor of Science degree from the University of South Alabama in 1995 and his law degree from the University of Alabama in 1999. Following graduation, Brad was a partner at Green and Bradford for ten years before joining AWKO in 2009. Brad is admitted to the Florida and Alabama bar and handles cases throughout the country.